Our dedication and expertise is at the heart of everything we do. Our team of property consultants have gained a wealth of unique experience working in both the private and public sectors of the business advising clients on investment and development opportunities. We have advised on numerous acquisitions and disposals ranging from single assets to large portfolios. At all times Powell Lloyd seek to provide independent and impartial advice of the highest quality. James started his career working in Central London for Angermann Goddard & Loyd specialising in out of town retail agency. He completed his Real Estate Management degree at Kingston University achieving First Class Honours. Having moved back to Cardiff in 2005, James joined Stephenson & Alexander concentrating on investment agency and worked between the firm's two offices in Cardiff and London sourcing primarily off market investment opportunities. 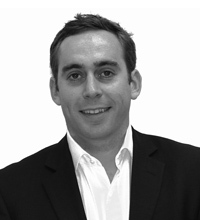 After gaining his RICS qualification James was offered a directorship at the company. His trusted clients include numerous UK institutional investors, private investors and property companies. Outside office and family hours James likes to play squash, hack around the golf course, watch rugby and is also a keen snowboarder. Dan graduated from the University of the West of England, Bristol studying Property Management & Investment. He started his career working with EJ Hales based in Cardiff followed by a move to Stephenson & Alexander where he completed his APC and became a Chartered Surveyor, progressing swiftly to Director. He worked primarily in the agency departments advising on acquisitions and disposals across various sectors throughout South Wales and over time has operated with a particular bias towards development and investment throughout the region and beyond. 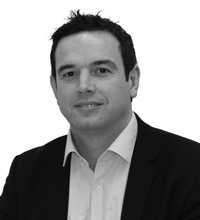 His clients include numerous UK Institutions, property companies, national occupiers and developers. Away from the office Dan enjoys spending time with his young family, watching rugby and being on the golf course as often as possible.